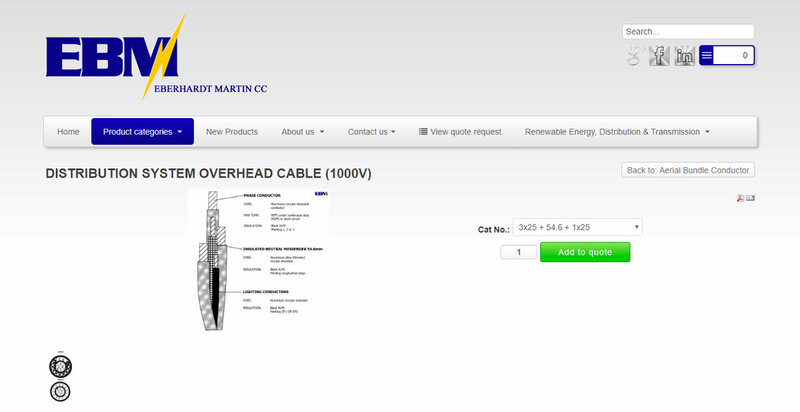 EBERHARDT-MARTIN (EBM) was founded in 1967 to bring innovative and cost effective products to the electrical industry. Since its inception EBM has been at the forefront of innovation in bringing cost effective products to the South African market. 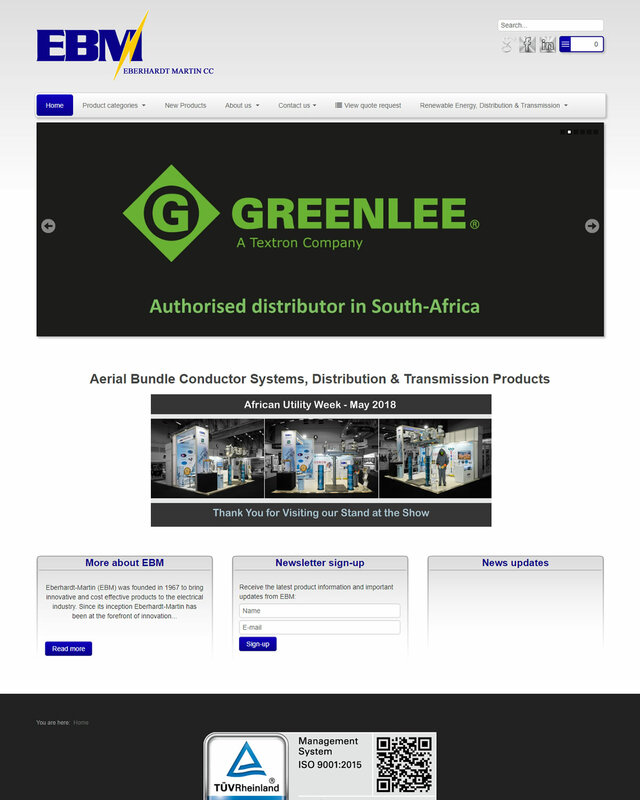 EBM is the sole South African distributor for several leading European, Chinese and American manufacturers. EBM contracted SES WEB in 2015 to build them a brand new website that will enable them to display their products in an e-commerce style catalogue using the Joomla! CMS platform. Jomla! CMS was combined with the Virtuemart e-commerce platform for Joomla! and seeing that there was no system that could convert Virtuemart into a quotation request system at the time, SES WEB applied custom changes and developed the necessary applications to accommodate this requirement. The EBM website was developed as a once-off project and handed over to EBM to be administrated internally.